The authors believe that a tendency to gain weight easily can be caused, not by lack of willpower, but rather by a physical addiction to carbohydraes. This revolutionary diet eliminates the cravings and helps you overcome the yo-yo syndrome - when weight you have lost is quickly gained back - permanently and without feeling hungry. 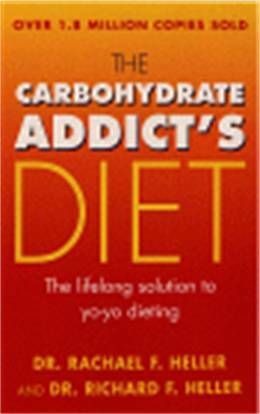 The Carbohydrate Addict's Diet Book is based on the Hellers' years of research, thousands of case studies and their own personal victories over food echanges and calorie counting. A daily reward meal, along with wholesome, balanced Complementary Meals, fit easily into busy schedules, restaurant meals, holiday and celebrations. Filled with sound advice and effective strategies - including wonderful recipes and menu plans - this groundbreaking book helps eliminate carbohydrate cravings and puts you in control of your eating and your weight - for life.